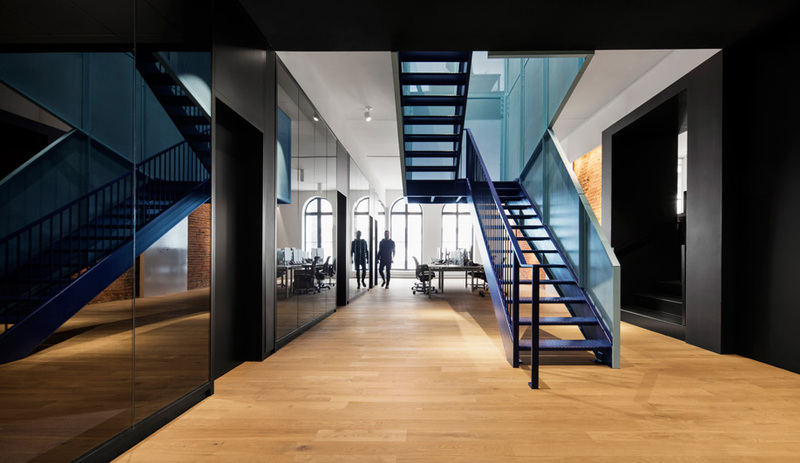 The firm’s trademark mix of materials, textures and colour is seen at the centre of the space where the stairwell is clad in baby blue perforated steel. Sticky notes cover a wall coated in chalkboard paint, and a full-height whiteboard is an invitation for employees to have impromptu stand-up meetings. One long Caesarstone countertop defines the kitchen area. Casper bar stools by Allermuir. The office comprises two adjoining buildings that share an entryway. One side contains workspaces for 60 employees; the other has been left casual and open. ACDF went in another aesthetic direction for Playster, using colour blocking throughout. The palette was inspired by the company logo’s bold tones. 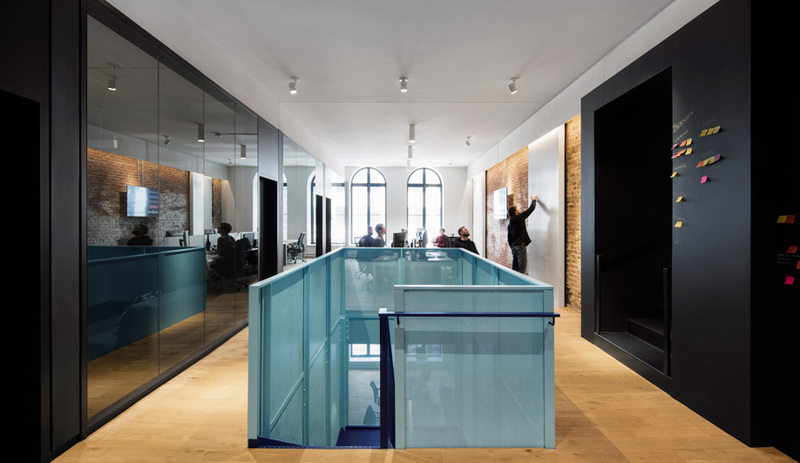 Glass partitions reflect the all-over hues, adding another layer of colour intensity. 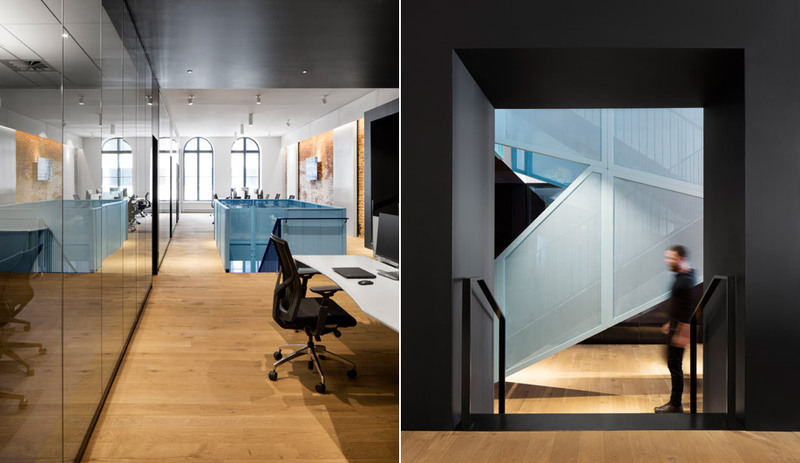 The corridor, which is coated in white epoxy, acts as the spine of the 1,672-square-metre office, connecting the various rooms and work areas. 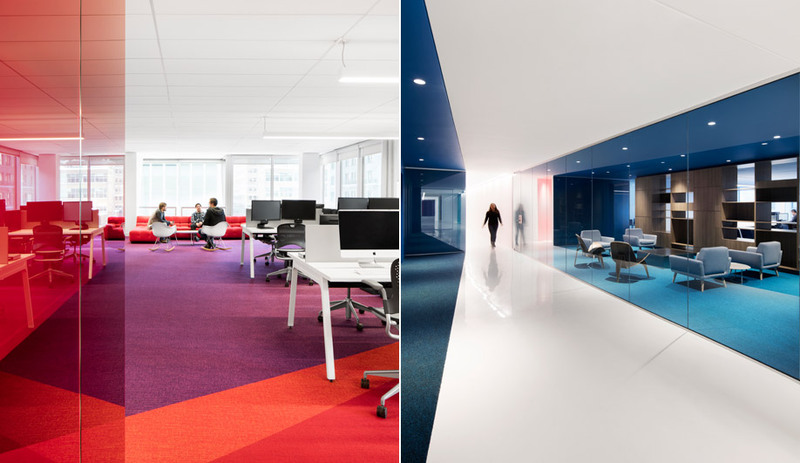 In the breakout rooms, saturated hues cover the walls and ceilings, with matching carpeting by Shaw. Glass door partitions by C.R. Laurence of Canada. It’s 9:15 a.m. in Montreal’s Mile End neighbourhood. I’m late for our interview, but Maxime-Alexis Frappier, president of ACDF Architecture, isn’t complaining. The extra time has given him a chance to sign off on a package of drawings due that morning. “It’s going so fast! It’s so busy!” he says, ushering me into a conference room on the third floor of a repurposed clothing factory. 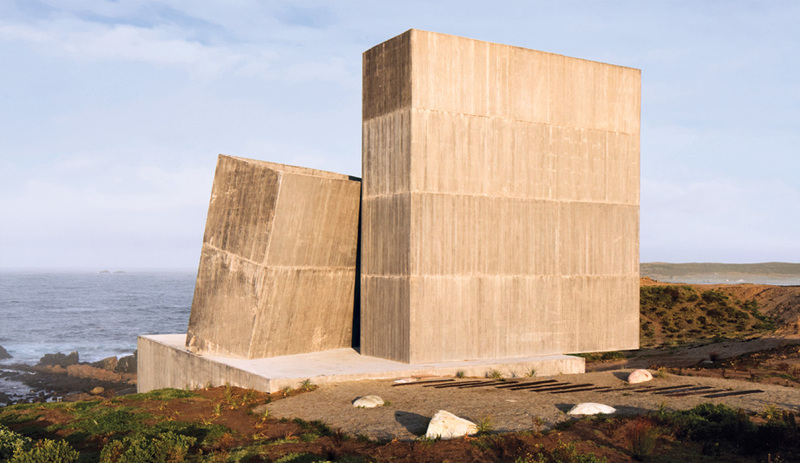 It’s an unusual statement coming from an ambitious Quebec architect. 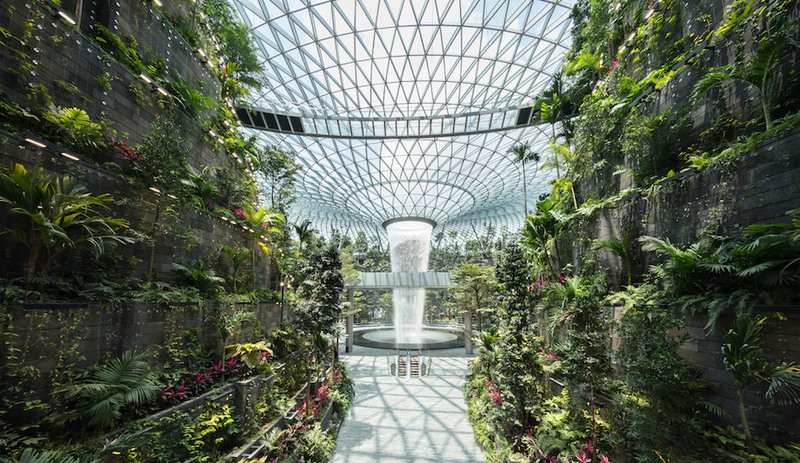 The local design community tends to concentrate on cultural commissions won through the public competition system. But Frappier started ACDF in 2006 with three partners who had strong ties to the construction industry. 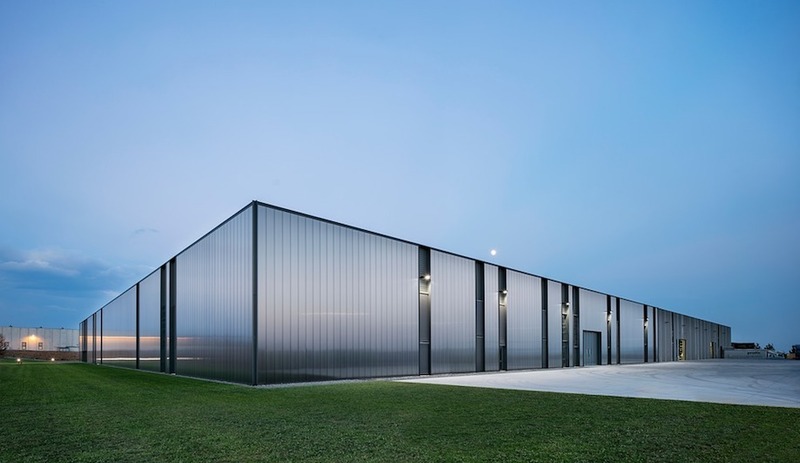 The firm has civic buildings in its portfolio, such as the library and city hall in La Malbaie, Quebec, but its high-profile projects have come mostly from private clients, especially in the office sector. Recently, the firm has won acclaim for interiors commissioned by Montreal’s bubbling tech industry. A standout is the one for Lightspeed, which required the renovation of a 19th-century train-station hotel near the Old Port. 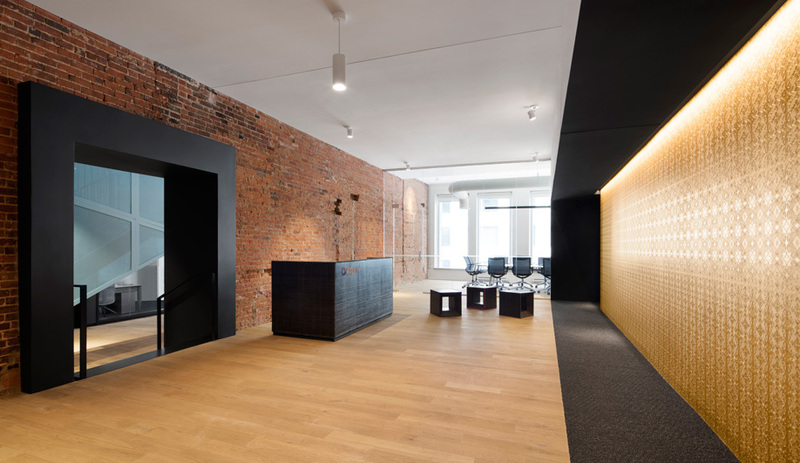 The workspace features bold graphics and a high contrast between the historic shell (built of timber, steel and stone) and elegant new insertions. There is an anamorphic reception desk that, when viewed from exactly the right spot, coalesces into the company’s logo. ACDF just finished Lightspeed 2, located on another floor of the hotel; here glowing pastel colours identify work zones in a soft white office landscape. In short, ACDF has found a way to break into the development market. 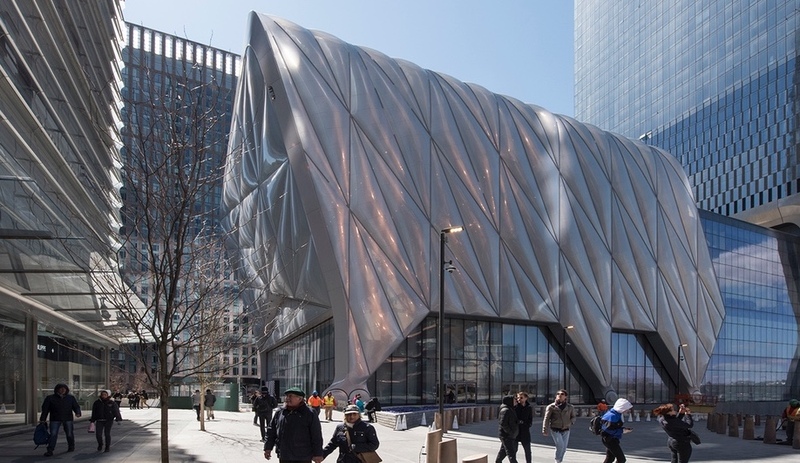 “It’s good news for architecture,” claims Frappier. “The private sector is realizing that precise design work contributes to their projects.” Currently ACDF is working on a 39-storey residential tower in Vancouver and an adjacent seven-storey cultural centre, which is filled with exhibition rooms and workspaces for artists and performers. Closer to home, ACDF has two towers underway in downtown Montreal, including the 270-room Hotel Monville, set to open in July 2017 near Square Victoria. This touch is on display in two recently completed tech offices. For AdGear, a digital advertising provider, ACDF repeated the trick of inserting new elements in a brick-and-timber shell. 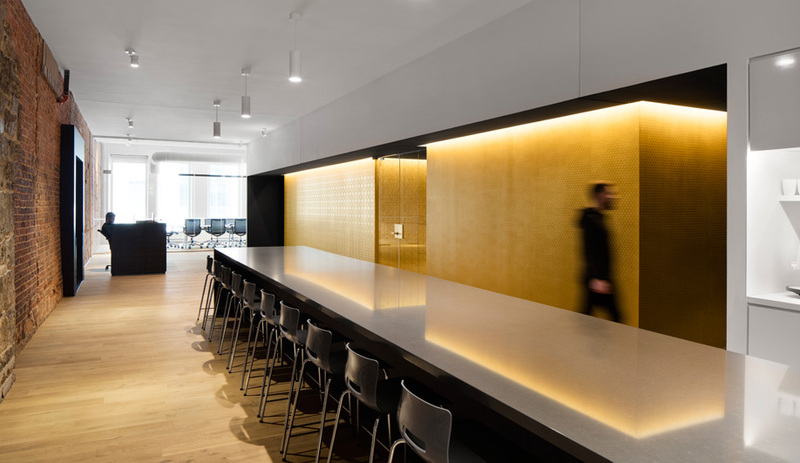 Black and white walls and cabinetry make a stark background for subdued complementary colours, restricted to gold wallpaper around meeting rooms and an expanded-metal staircase painted in robin’s-egg blue. For Playster, an online streaming service, ACDF organized 1,672 square metres of workspace around a gleaming white corridor, off of which are rooms blocked out in saturated monochromes (teal, plum, cobalt, and saffron) used for carpets, paint and even ceilings. Playster: Glass partitions reflect the all-over hues, adding another layer of colour intensity. 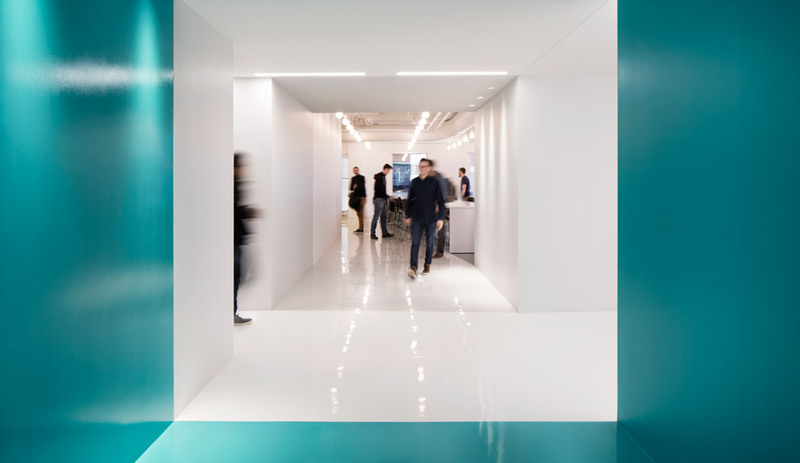 The corridor, which is coated in white epoxy, acts as the spine of the 1,672-square-metre office, connecting the various rooms and work areas.